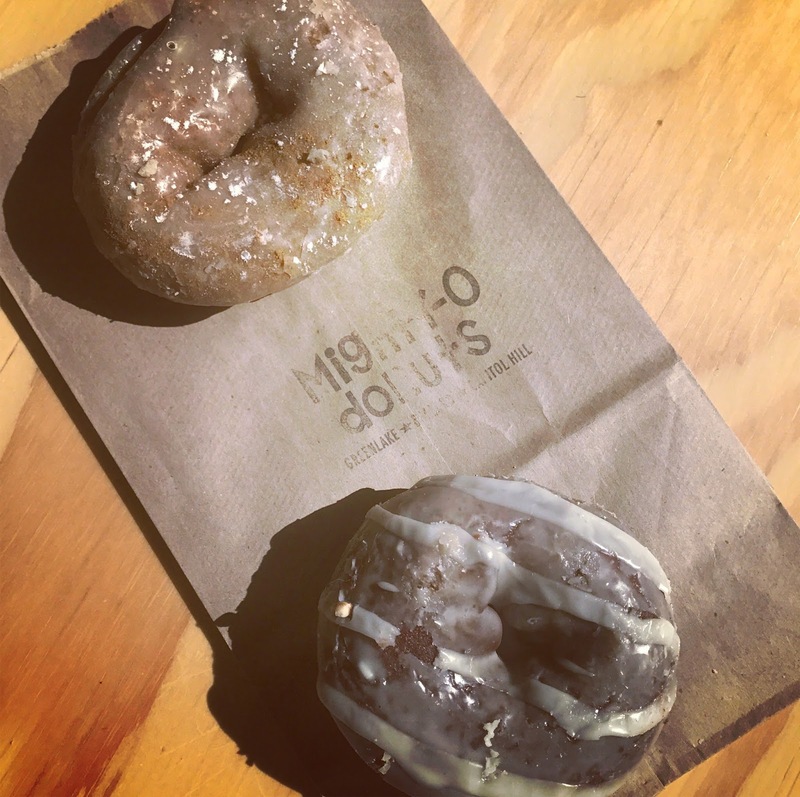 but first, about mighty-o donuts : "our intention was to make an honest living while being mindful of people & respectful of the environment. ... we couldn't find anyone making a donut the way we envisioned. a sweet treat with no chemicals, no genetically modified organisms, & no animal products -- something everyone could enjoy." the girl working the counter recommended the chocolate peanut butter donut. but i didn't listen. there were two donuts that only had one left of each. in my mind, that means they are the best. starting with the french toast -- delicious. like a perfect cinnamon-y cloud. but the real winner ... the glazed chocolate. i have no words for this. i had no idea what a hankering i was having the past 8 years for a dunkin' donuts glazed chocolate donut. apparently, i have been missing one of those like woah. that being said, this mfer blew.dunkin.out.of.the.water. no comparison. just bomb. like everyone who recommended mighty-o donuts to me ... i have to highly recommend them to you. i'd say, my one must-stop spot in seattle. check 'em.